Let us help you take control of your fuel costs. Create certainty in an uncertain marketplace. Fuel is arguably the most volatile cost for consumers around the world, with prices able to sky-rocket at any moment. With a Firm Price Contract you are able to control the cost of your fuel spend by locking in the price of your fuel. Regardless of how high fuel prices rise, the price of your fuel from Petroleum Traders will not. Bring transparency and security to your fuel buying. In a market where prices change constantly and not all suppliers have the same purchasing/logistical power, Index Based Contracts are a powerful tool. These give you the ability to shed light on your daily fuel pricing while giving you the peace of mind of secure fuel supply. These contracts will tie your daily pricing to a well-known and trusted market index so you know how competitive the prices you are buying really are. The most popular index is tied to local wholesale fuel pricing. With this index you are able to gauge your costs relative to your actual wholesale market. As part of this program, we can provide you with a free fuel audit: send us a history of your fuel purchasing over the last 3 or 6 months (up to 1 year) and let us directly show you what we can help you save… or just let us show you a new fuel purchasing program you may have not considered. Let Petroleum Traders go to work for you: directly participate in the strengths of a national fuel supplier. This allows you to turn your whole fuel program into a turnkey solution for your company. With an Inventory Management Program Petroleum Traders can monitor your tank levels for you, schedule deliveries, and buy/source fuel strategically. You can have as much or as little interaction on a day to day basis that you choose. This will not only save you money by eliminating unnecessary overhead costs but, because we can buy/source your fuel strategically, we can show you how we are able to directly save you money over time as well! Control the cost of fuel that you buy at the retail level OR with a current supplier. 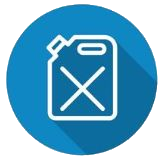 Many companies do not have bulk fuel tanks and must buy their fuel at truck stops or retail gas stations. Some companies do have bulk fuel tanks but want to keep their relationship with a local fuel provider. In either case Petroleum Traders can still offer you a way to control your fuel costs – even if you are not buying our fuel! A Fuel Swap Contract is a financial transaction between you, our customer, and Petroleum Traders that allows you to control your overall spend on fuel no matter where you are buying that fuel from. 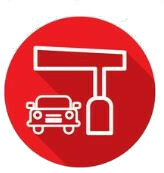 You still buy your fuel exactly as you do now and we offset your additional costs through a Fuel Swap that we tailor to your individual situation. One of our strongest qualities next to supply and service: innovation. We love to innovate. If you have a need that may be “outside the box” we want to go to work for you and figure out how to solve it. We have put together countless new price-management products over the years for our customers on a case by case basis. Not interested in a contract with us at this time? In the meantime we still offer daily offers and competitive pricing to our customers. Let us serve your business with daily competitive pricing and excellent/reliable service. We offer deals daily in different markets based on our most current purchasing economics and market conditions. We are still always available to discuss any price management opportunities that you may bring up. As a coast to coast supplier we have a lot to offer each of our customers: if you buy fuel we need to talk. Please don’t hesitate to reach out to us: call one of our qualified Account Managers today to discuss how we can go to work for you.